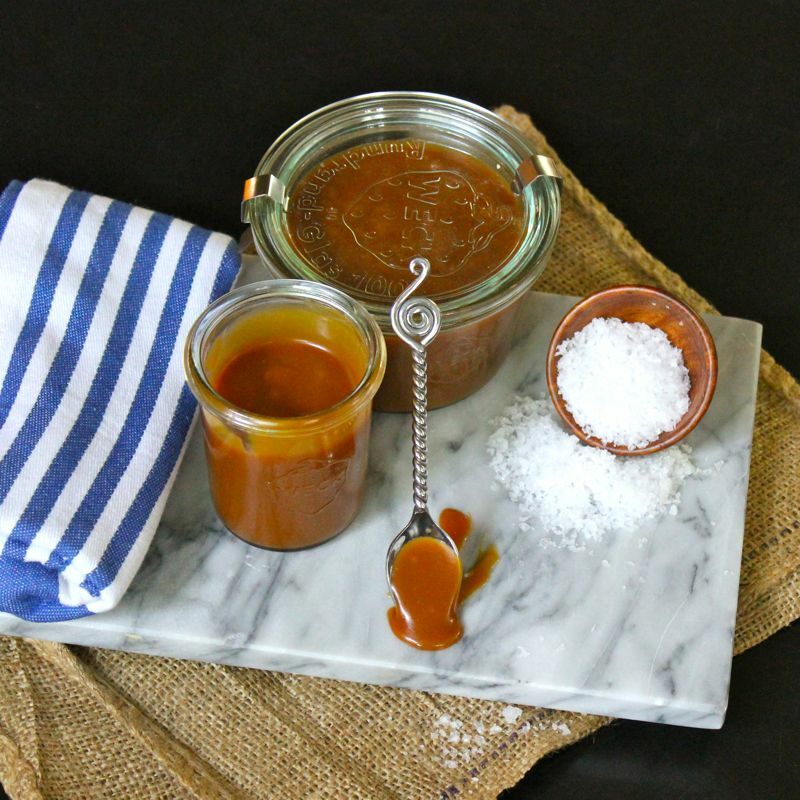 Perfect Salted Caramel Sauce! Are you listening? 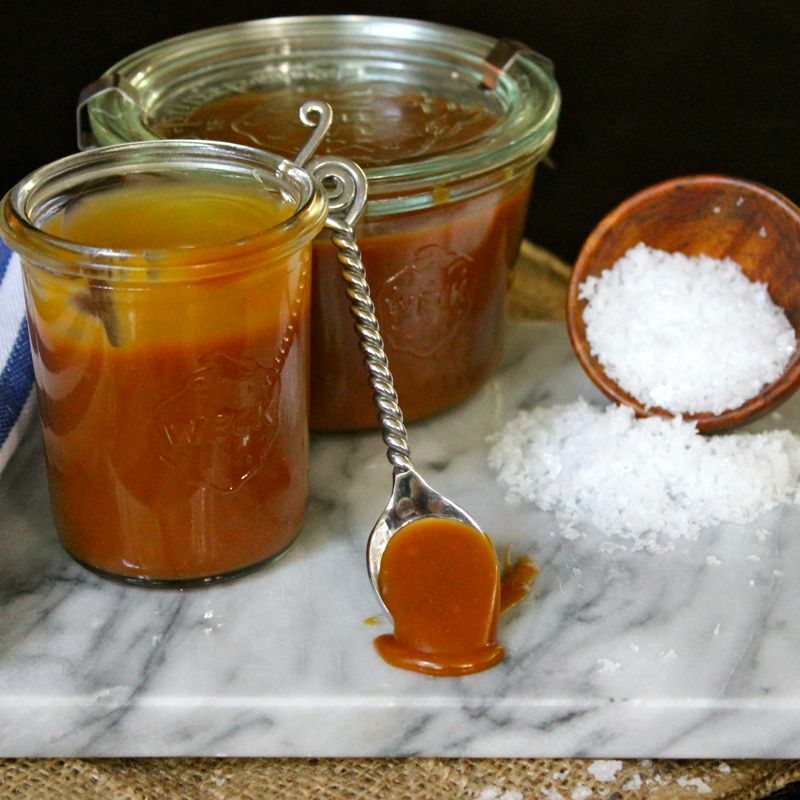 I said…Perfect Salted Caramel Sauce!!! I don’t know about you, but I can’t get enough of the stuff. If you’ve never had it before, which I can’t imagine since it seems to be all the rage, it is luscious buttery caramel which has been spiked with delicate fleur de sel. Sweet/salty bliss I tell you. Veritable liquid gold! When a humble apple slice is dipped in it, it is suddenly elevated to gourmet treat. Drizzle it over ice cream with the same results. In fact, it seriously enhances almost anything it comes in contact with, be it cake, brownies, cookies or pies. It is hard to believe that 4 simple ingredients can produce such a magical concoction, but somehow they do. And with this recipe, you can make up a batch of Perfect Salted Caramel Sauce at home in about 10 – 20 minutes. Indeed I was able to make up a batch of Salted Caramel Sauce that was complete perfection on the very first try! I don’t know if you have tried making caramel sauce in your kitchen or not. Most folks say it is pretty easy as long as you keep a close watch of the pan as the sugar caramelizes. I know that, and I have tried to keep an eagle eye on it but…. it has not come easy for me to say the least. I remember a couple of years ago I wanted to make these Apple Pie Salted Caramel Cupcakes for the husband’s birthday. After much travail, I was finally able to get them done, but they literally took all day. Thankfully I was able to finish them two minutes before midnight, so technically they were done on his actual birthday, but talk about being exhausted. And really there was nothing terribly difficult about that particular cupcake recipe. Except that salted caramel…I failed making it 4 or 5 times. Perhaps that is why I am so completely psyched about making this Perfect Caramel Sauce perfectly on the first try. 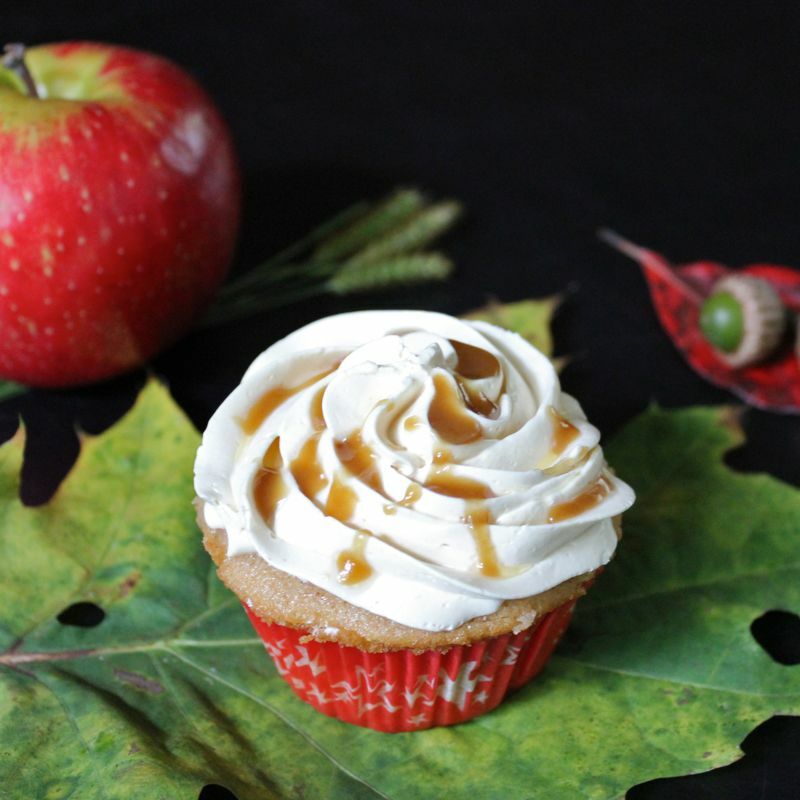 (If you feel inspired to make those terribly tasty and gorgeous looking Fall cupcakes, you might just want to sub in this Caramel Sauce recipe.The one I have listed in the Apple Pie Cupcake recipe was the one that finally worked for me on that day. I had tried several different ones.) I had made it before successfully, but not that day. Salted Caramel is strange and elusive that way. I think you just aren’t meant to make it on certain days. It is simply not in your stars. You should just accept it and move on. But I am pretty stubborn…so of course I never handle a caramel failure in such a zen manner. I panic and freak out! Which is silly. I mean you pretty much know if the caramel has failed early on, so worse case scenario you’ve wasted a cup of sugar and a bit of time. No big deal right? Well that’s what logical me says. The real me gets a bit nervous the night before I have planned to make some salted caramel. I should perhaps avoid salted caramel dishes…but that’s not going to happen. It is so irresistible. But I think I’ve got it this time. 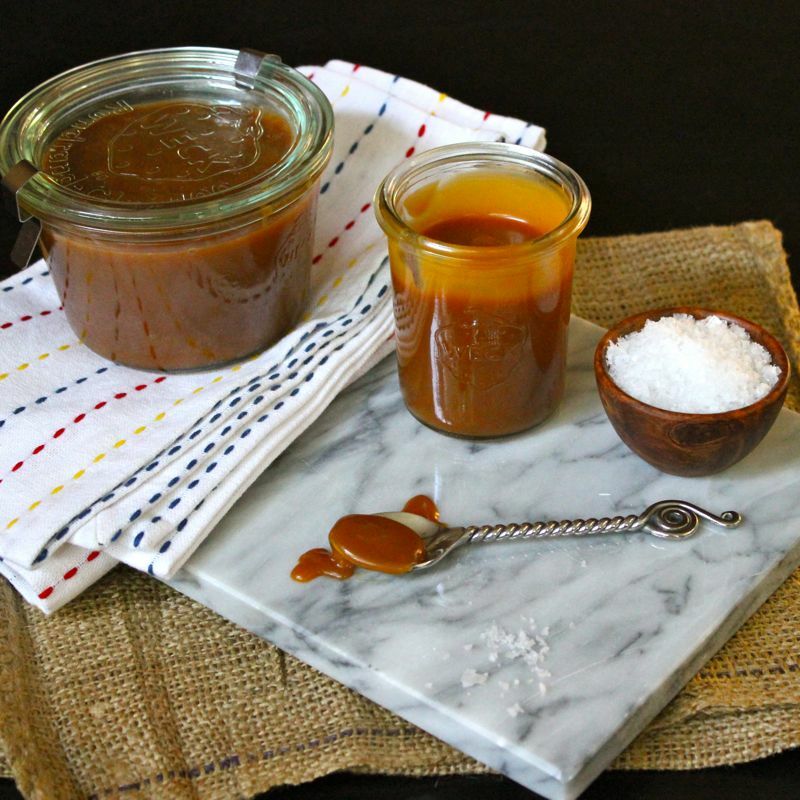 This recipe yielded up a big old batch of Perfect Salted Caramel Sauce on this very first try! I can not tell you how happy I was. So don’t be scared! You can do this. Say whatever prayers you need, check your astrological charts, complete any superstitious kitchen rituals you hold, whisper the appropriate incantation and then take a deep breath and calmly and patiently brew up this most exquisite Perfect Salted Caramel Sauce today. Folks will be completely enchanted! *The Brown Eyed Baker has great step by step photos on her site. Please have a peek before you take the plunge! Continue cooking until the sugar has reached a deep amber color. It should look almost a reddish-brown, and have a slight toasted aroma. This is the point where caramel can go from perfect to burnt in a matter of seconds, so keep a close eye. If you are using an instant-read thermometer, cook the sugar until it reaches 350 degrees F.
As soon as the caramel reaches 350 degrees, add the butter all at once. Be careful, as the caramel will bubble up when the butter is added. Whisk the butter into the caramel until it is completely melted. Remove the pan from the heat and slowly pour the cream into the caramel. Again, be careful because the mixture will once again bubble up ferociously. Whisk until all of the cream has been incorporated and you have a smooth sauce. Add the fleur de sel and whisk to incorporate. Set the sauce aside to cool for 10 to 15 minutes and then pour into your favorite glass jar and let cool to room temperature. You can refrigerate the sauce for up to 2 weeks. You’ll want to warm the sauce up before using. This entry was posted on Wednesday, October 15th, 2014 at 6:23 am and is filed under desserts, Recipes, sauces. You can follow any responses to this entry through the RSS 2.0 feed. You can leave a response, or trackback from your own site. I have never been brave enough but you have inspired me… will check my horoscope for tomorrow…. I just made caramel sauce for the first time this weekend. It is very challenging and I burned the poo-poo-ca-ca out of my finger. That stuff will grab you and not let go when it is hot!! I didn’t use room temperature butter, I bet that would work better, than colder… Thanks for sharing your experience! It may be challenging, but it does look amazing to me. I love anything with caramel, so I might give this a try when I feel lucky!